Bhubaneswar: The State Government today effected a major reshuffle in the bureaucracy and appointed senior IAS officer Anil Kumar Samal as the new Revenue Divisional Commissioner (RDC), Central Division. 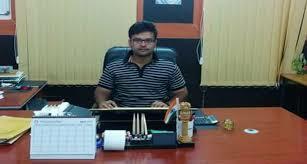 Samarth Verma was named as the new Bhubaneswar Municipal Corporation (BMC). A notification to this effect was issued by the General Administration Department today. At least five districts got new Collectors ahead of the crucial elections. While Shubham Saxena was appointed Sambalpur Collector, Guha Punam Tapas Kumar was made Collector of Jagatsinghpur while the incumbent Collector Yamini Sarangi was posted as Joint Secretary at the Health Department. Three senior OAS officers were also made Collectors. Bibhuti Bhusan Das was appointed as the new Collector of Jharsuguda while Manoj Kumar Mohanty was made Angul Collector and Pramod Kumar Behera of Rayagada.